SKU: OPTI. Category: Keyboard Encoders and Interface Hardware. The Opti-PAC (Optical Interface for PC to Arcade Controls) enables you to connect optical-type arcade control devices, such as trackballs and spinners to a PC for use with emulators such as MAME. 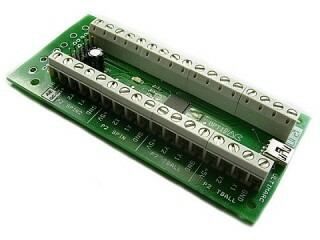 It connects via USB and is configurable for up to 2 trackballs and 4 spinners depending on the method of connection used. More information can be obtained from Ultimarc. Included is a USB cable for connection to PC.